Sometimes a personal touch is all you need to make your mom feel loved on Mother’s Day. Forget the gifts, forget the frills and just spend some QT with mom this weekend. Lindt’s LINDOR Milk Chocolate Truffle is the official chocolate of the new movie “Mother’s Day,” which hit the big screen on April 29th. If you need some inspiration on how to hang with mom on Sunday, why not hit the movie theater?! Afterwards, you can use Lindt’s LINDOR truffles to make a movie-worthy Mother’s Day treat to enjoy together. We whipped up a batch of Gingerbread Chocolate Peanut Butter Popcorn that is the perfect movie treat to dip your hands into! Yes, you read that right. Microwave your popcorn or pop it on the stove (whichever you prefer). While it’s still hot, add in Lindt LINDOR Milk Chocolate Truffles (we used 4 per bag), peanut butter chips (we used 1/2 cup) and a tablespoon of gingerbread spice. Mix thoroughly. If the truffles aren’t fully melted, you can put the full mix into the microwave for another 10-15 seconds and stir again. Make sure it is mixed well so the ingredients spread evenly. Feel free to add more of any of the ingredients for added flavor. Enjoy! To help aid in your Mother’s Day celebration and since LINDOR is highlighted in scenes in the “Mother’s Day” movie, Lindt is hosting a contest to inspire fans to share why their mother/mother figure is the sweetest for the chance to win a year’s supply of assorted LINDOR truffles, plus movie tickets for two! To enter the contest or for more information, click here. Score! 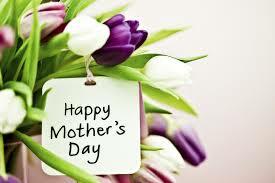 Hope you and your mothers have a fabulous Mother’s Day! Make sure to share your pics of your Gingerbread Chocolate Peanut Butter Popcorn and tag us on Instagram @ManhattanTwist. Twisted Talk: How do you plan on celebrating Mother’s Day? Do you and your mom go to the movies a lot? Discuss below!